Among the many activities you plan for enjoyment this spring, why not add winemaking to your list? It’s official, June is Chilean Winemaking Month at Grapes N’ Barrels! We invite you to learn more. For Grapes N’ Barrels, making Chilean wine in spring has become an integral part of our overall winery production. The reasons: We are able to source high-quality fresh wine grapes from Chile; and more importantly, the Chilean wines our winemakers produce are simply superb. If ‘spring fever’ has you looking for a unique, social, fun experience for you, your family, friends and associates, you should consider making Chilean wine now. Here’s why. 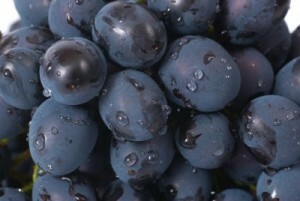 Chilean Quality Wine Grapes Are Available. In the Southern Hemisphere, south of the equator, summer ends on March 1st. In Chile’s wine regions of Curico Valley and Colchagua Valley, the wine grape harvest has just been completed. Fresh Chilean wine grapes are on their way to the Northeast and are expected to arrive in our area by the last week of May. Preliminary reports suggest that although the harvest was a bit late this year, the fresh grapes are of high-quality and expected to yield great wines. Distributors have related early-on that fresh grape supplies will be limited which has created a ‘sense of urgency’ for New Jersey winemakers. It is also worth noting that fresh Chilean grapes for making ‘red’ wines will be more abundant than those used for ‘white’ wines. So, based on wine popularity, grape availability, and interest in following the time-honored classical winemaking process of ‘Crush-Press-Rack-Bottle’, the primary focus for Grapes N’ Barrels this spring will be on making popular Chilean varietal red wines from vine-ripened, imported fresh grapes. Did you know that wine produced from Chilean grapes rivals some of the best California wines made today? Make Exceptional Wine Varietals Yourself. Chilean red wines have steadily been gaining notoriety and respect among oenophiles. Chilean red wines, once considered value oriented, now rank among the finest wines in the world. It’s no secret that Chilean popular varietals such as Cabernet Sauvignon, Malbec, Syrah, Carmenere, and Merlot rival some of their best California wine counterparts. Wine aficionados consistently describe Chilean red wines as having ‘exceptional wine characteristics’, ‘full and robust flavor’, being ‘well-balanced ’, and ‘gentle on the palate’. Imagine, you now have the ability to use the same grapes used by the large commercial wineries to make your own artisan-crafted Chilean red wine that is comparable to, if not better than, those you find at your favorite wine outlet. The best part of making your own private-label wine is being able to enjoy the wine at your favorite BYO restaurant, sharing it with family and friends, and it makes a very special gift. You too can experience the great sense of accomplishment and gratification that is derived from making wine. Moreover, uncorking a bottle and drinking your wine will always become a celebration! Each Bottle of Your Chilean Wine is Filled with Pleasant Surprises. Only drinkable wines are bottled at Grapes N’ Barrels. Of course, time-lines for completion vary based on wine varietal selected, winemaking process followed, and the aging vessel and duration of maturation. Generally, the time-line for bottling your Chilean wine will be about eight months. You can start enjoying your wine or let it bottle age a bit longer. One thing is for sure, each time you open a bottle, the core characteristics of the varietal wine will be at a level and intensity determined by the stage of wine development through that point in time. As the wine ages, its desired inherent qualities become more pronounced, the wine takes on greater complexity, flavors are enhanced, and the transformation your wine will undergo makes drinking each bottle a ‘wine encounter’ that will pleasantly surprise you and those you share it with. Please join us during the entire month of June for Chilean Winemaking. Interested? Check out our open dates, times, and pricing. Call us for information and reservations.